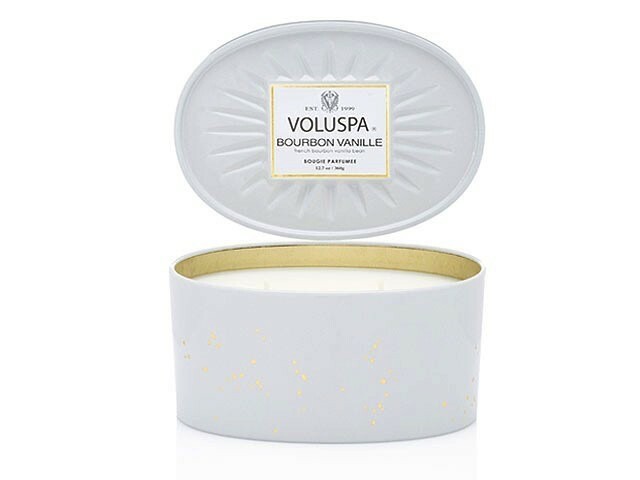 VOLUSPA's Bourbon Vanille Oval Candle grinds and distills heavenly vanilla beans from Bourbon, France to extract its rich and luscious scent. Hand poured in the USA, this 50hr candle features a coconut wax blend and two cotton wicks. Presented in a white reflective tin with rich gold inlay that glows beautifully when alight!